An outline reflects logical thinking and clear classification. It is NOT merely a list of points. Whenever possible, in writing an outline, coordinate heads should be expressed in parallel form. That is, nouns should be made parallel with nouns, verb forms with verb forms, adjectives with adjectives, and so on (e. g. Nouns: computers, programs, users; verbs: to compute, to program, to use; adjectives: home computers, new programs, experienced users). Although parallel structure is desired, logical and clear writing should not be sacrificed simply to maintain parallelism. (For example, there are times when nouns and gerunds at the same level of an outline are acceptable.) Reasonableness and flexibility of form are preferred to rigidity. In outlining, those items which are of equal significance have comparable numeral or letter designations: an A is equal to a B, a 1 to a 2, an a to a b, etc. Coordinates should be seen as having the same value. Coordination is a principle that enables a writer to maintain a coherent and consistent document. In order to indicate levels of significance, an outline uses major and minor headings. Thus, you should organize it from general to specific or from abstract to concrete. The more general or abstract the term is, the higher the level or rank in the outline is. This principle allows your material to be ordered in terms of logic and requires a clear articulation of the relationship between component parts used in the outline. Subdivisions of each higher division should always have the same relationship to the whole. To divide you always need at least two parts. Therefore, there can never be an A without a B, a 1 without a 2, an a without a b, etc. Usually there is more than one way to divide parts; however, when dividing use only one basis of division at each rank, and make the basis of division as sharp as possible. The most important rule for outlining form is to be consistent! An outline can use topic or sentence structure. A topic outline uses words or phrases for all entries and uses no punctuation after entries. 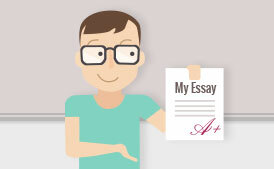 Advantages : presents a brief overview of work and is generally easier and faster to write than a sentence outline. A sentence outline uses complete sentences for all entries and uses correct punctuation. 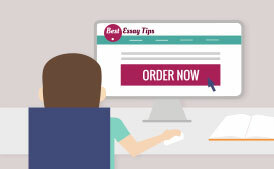 Advantages : presents a more detailed overview of work including possible topic sentences and is easier and faster for writing the final paper. An outline can use Roman numerals/letters or decimal form. Purpose: To show how programs written for microcomputers relate to the process of writing essays and other papers. 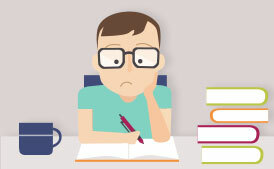 Thesis: Microcomputer programs can have a positive effect on students' writing if the potentials and limitations of the programs are understood. Audience: Current college and university students.